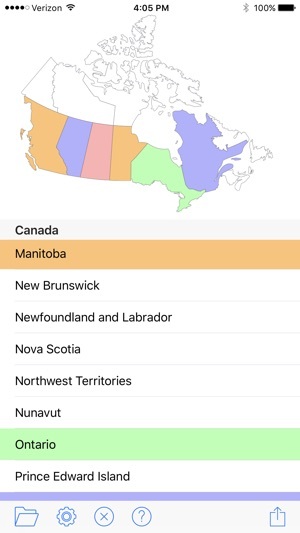 Create a map of your travels by selecting the US states and Canadian provinces you've visited. 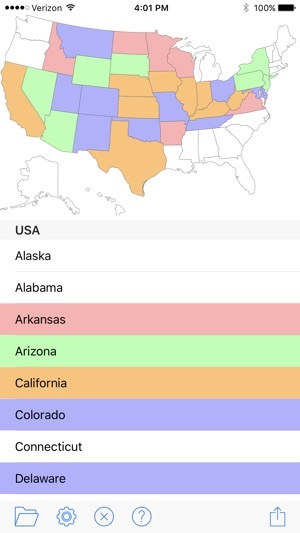 Color-code the states if you'd like. Then share your map to social media, send it in Messages or Mail, or generate a high-quality PNG or JPEG image at any size to use however you like. Finished maps can be of the USA, Canada, or both together. 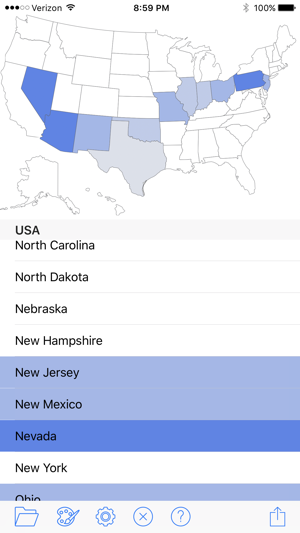 My Visited States Map Generator has been popular on the web for years; now you can have it on your phone, with the ability to save your maps to update later. And it's free, with no ads or in-app purchases. • Added "Dark Mode" for the app's user interface. If you enable the iOS 11 system setting "Smart Invert Colors", Dark Mode will be used automatically. Or, enable it in the app's settings. • Tweaks for iOS 11 and iPhone X.
Amazing, exactly what I was looking for! 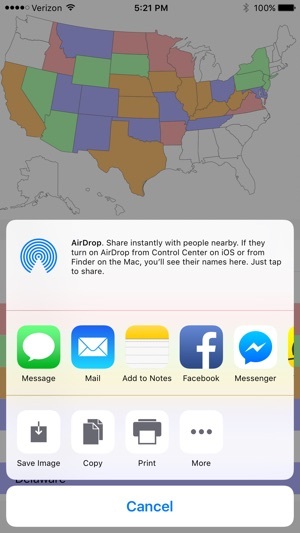 This app is perfect, you can save multiple maps for different people in the family, you can save as an image and share directly from the app if you want. There is shading so you can create your own significance on each map (darker colors for places you've lived not just visited, etc.) Runs smoothly, hasn't crashed, I would give this 10 stars if I could! Thank you for this great app!! 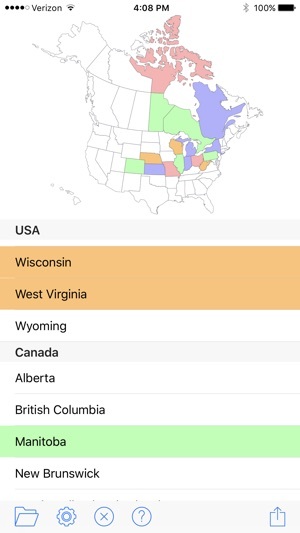 I got this app to track the states I visit on a road trip. Everything I input disappears after 15-20 minutes. I know it’s easy to go back and re-enter the info, but that defeats the purpose of a tracker.